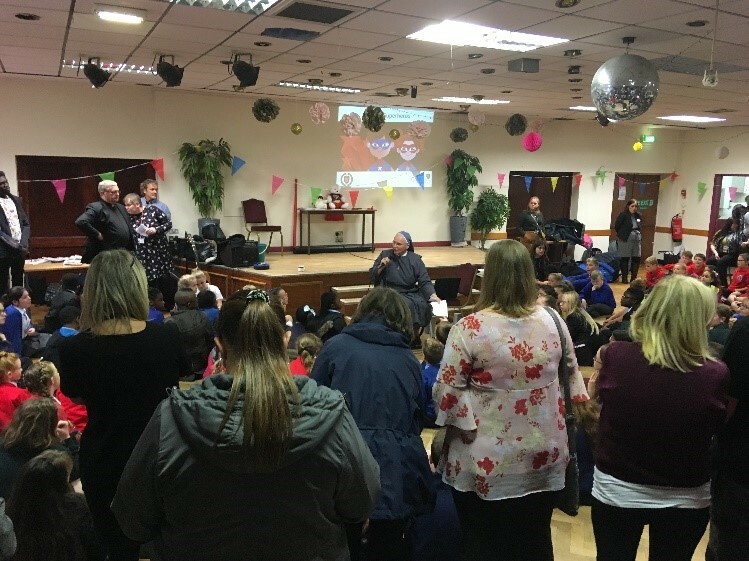 On Tuesday the 2nd of October Million Minutes was delighted to attend the 2018 Caritas Festival in Whitefield, Manchester. Caritas Ambassadors from 22 schools across the Diocese took part in the day`s event. The day provided an excellent opportunity for the young people to interact and share with each other and hear about the amazing projects Primary and Secondary schools had been supporting throughout the year. It was clear from the energy and enthusiasm in the room that the students loved the day. Highlights included the musical celebration in honor of the New Bishop`s Awards and the afternoon activities, which saw each school given the challenge of figuring out the Superhero behind the 14 Caritas charities present. This enabled the teachers and students to hear from the different charities and as a partner of the event, Million Minutes were able to share our story and network with the schools and organisations present. Million Minutes was also provided with an opportunity to promote siLENT and our grants scheme. All in all, a great day was had by all.